Guess what does the following screenshot show? No it is not Windows. 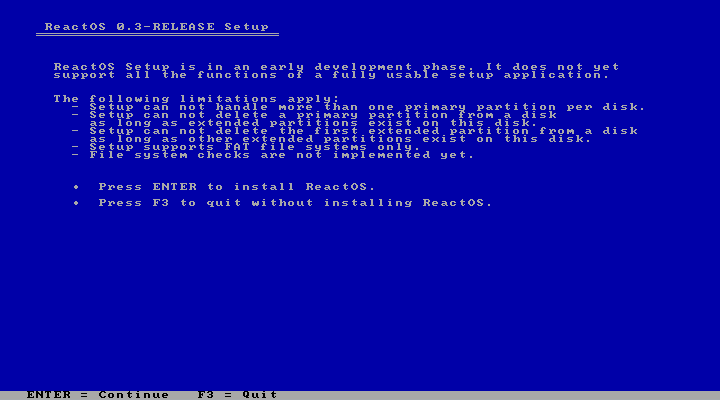 It does look and feel like Windows, but this baby is Free Software, an operating system called React OS. Why does it look like Windows? Because React OS is a project of developing a Microsoft Windows compatible operating system. It is supposed to run programs and even drivers meant for Windows and it is supposed to look like Windows so that former Windows users can ease right into it without feeling that scary feeling: the difference. React OS project has recently released the version 0.3.0 of this operating system and this is what you are looking at above. The similarity with Windows doesn’t end nor begin with the desktop. The installer looks pretty much exactly like Windows, and hence doesn’t have much to offer on a beauty contest (compared to some GNU/Linux distributions) as you can see on the following screenshots. That would be the welcome screen of the installer. You may compare the goals of React OS project with the goals of the GNU Project in its early days. GNU Project aimed to develop an UNIX compatible operating system that is free (as in freedom) and yet *Not UNIX* as the name itself suggests (GNU’s Not Unix). In the same sense, React OS is not Windows, although it is very much like it. Why develop React OS when we already have GNU/Linux and BSD? Well, because React OS developers believe that there are some which will simply never switch to GNU/Linux as they will, for some reason, never find what they believe they have with Windows. But since Windows is a proprietary operating system completely dependable on Microsoft and its whims, it lacks freedoms that those remaining Windows users may need. That is where React OS comes in. It essentially gives you a windows-like experience and freedom at the same time. React OS doesn’t intend to lack behind though. As its developers will tell you, and prove with their hard work and dedication over the last 10 years, React OS will not only track progress of the Windows NT-based platform, but at some point exceed its capabilities. 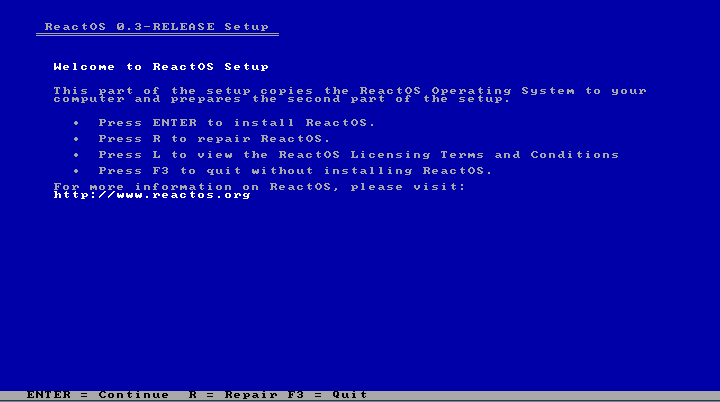 It would not be unreasonable to assume that at some point React OS will fix the flaws today so frequently exhibited by the Windows platform. Some day, React OS may be something we might call “Windows done right”. And the fact that it is free, that its source code is out on the open and that everyone (yes my curious friend, even you) can contribute to its development, eye the code for imperfections, submit bug reports and fixes, only adds up to the potential that React OS has for the future. As a Free OS it can grow with the community growing around it, without unnecessary restraints that proprietary licensing imposes. Some obvious evidence showing that React OS wont be just an exact clone of Windows is its native implementation of workspaces (as you can see in the above shot) and dettachable menus (as you can see below). React OS developers indeed say that React OS wont need those annoying badly integrated third party tools for desktop customizations as that will be implemented natively. Notice the tiny buttons on top right corners of these menus. Even in its rather early 0.3.0 release React OS is quite capable. It can run alot of well known applications such as OpenOffice.org and AbiWord, and even supports OpenGL allowing you to play some 3D games. If you think that Windows was a true gaming platform (although that is very arguable if you ask me), then React OS will sure be one as well. On React OS website you will find many screenshots and even videos showing what you can already do with React OS. So essentially, one studies the subject that they wish to “clone” in order to write specs per which others are then able to basically recreate the subject, but by using their own code rather than the code of the subject. In order to make absolutely sure that there is no Windows code in React OS, they have been undergoing a self imposed audit for the last few months examining React OS for any infringing code. Not only that, but the project developers are welcoming another additional audit done by a third party organization later on. This should show that there is a great effort being put in the legality of the project. Sure. React OS project offers you a choice of options for trying it out. You can download a livecd to spin it up without touching your hard disk, an install CD if you have a spare partition for it, a preloaded qemu image to try it out in a window on your existing desktop without even rebooting your computer or a VMWare image for pretty much the same thing as the Qemu option. What I did was download the install CD and installed it on a virtual qemu disk image. 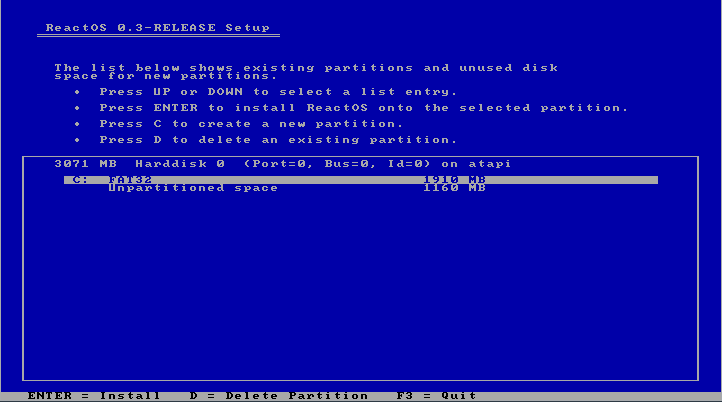 The following command, issued on a GNU/Linux bash terminal is going to boot a ReactOS.iso image of the React OS install CD and load the qemudisk.img as the hard disk device where you can install ReactOS. 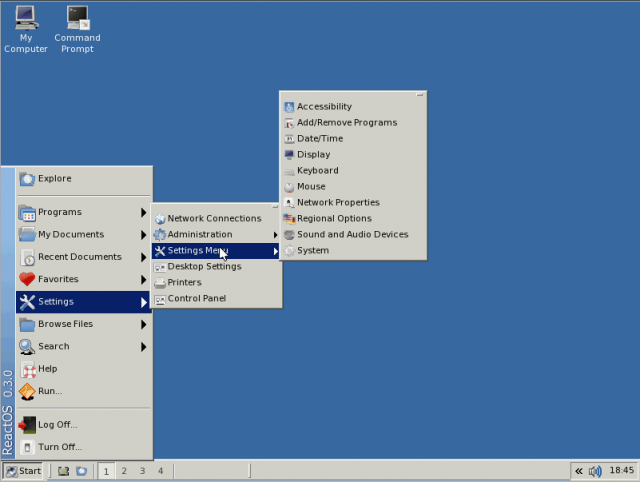 Here are a couple of shots of ReactOS within a qemu window on GNU/Linux. Qemu would probably be the best option for you as well, especially if you use an USB keyboard or mouse, as USB devices aren’t yet well supported by React OS. 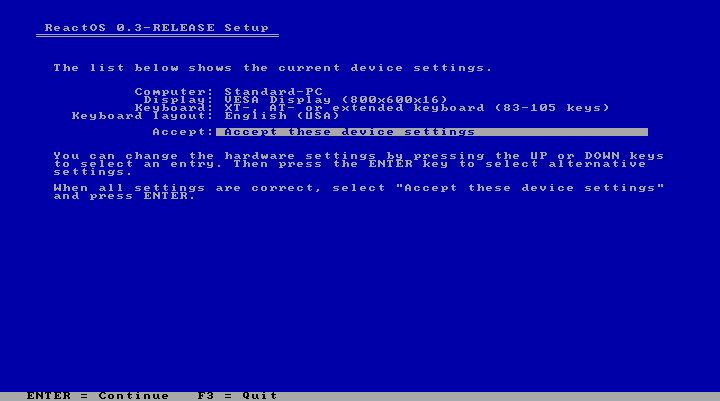 Quick tips on using qemu to boot a CD with a disk image can be found here.